America’s ever growing paint and sip industry has worked it’s way to Adelaide, with Studio Vino. Uncork your creativity and head down to Studio Vino and re-create the featured painting of the night, all while enjoying a glass (or two) of some of South Australia’s best local wines. Paints, canvases and brushes are supplied as an experienced local artist lead guests step-by-step through the painting process, for an unforgettable night of painting, sipping and socialising. Renew Adelaide presented the opening of Studio Vino’s new venue, opening up new opportunities for Adelaide locals to enjoy a fun night out with friends. 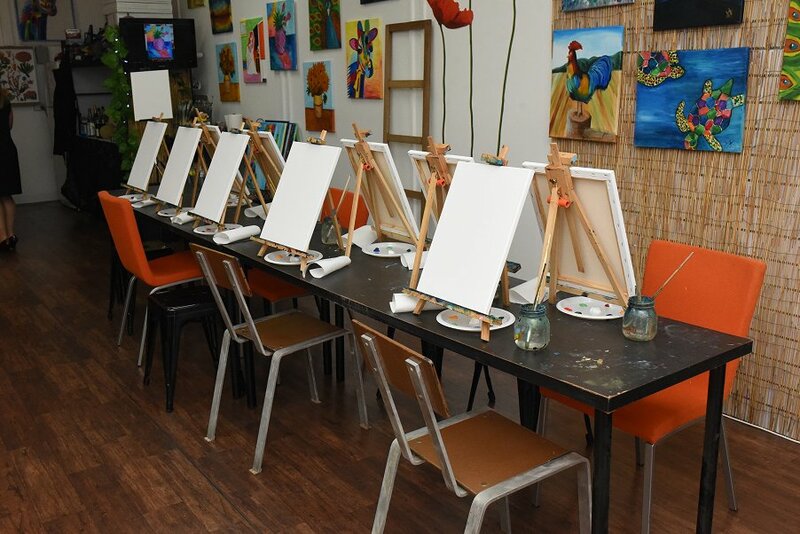 Studio Vino offer relaxed three-hour ‘Paint Night’ classes, where guests can re-create featured paintings, all while drinking and socialising. They also organise private events, such as hens nights, private birthday parties, team building events for businesses, fundraising events and children’s parties, however also offer up the studio space for those who wish to use the facilities and products to create their own works of art. With Studio Vino, the rules are simple: Have Fun, It’s not a competition, Relax, don’t stress, and Leave perfection at home. 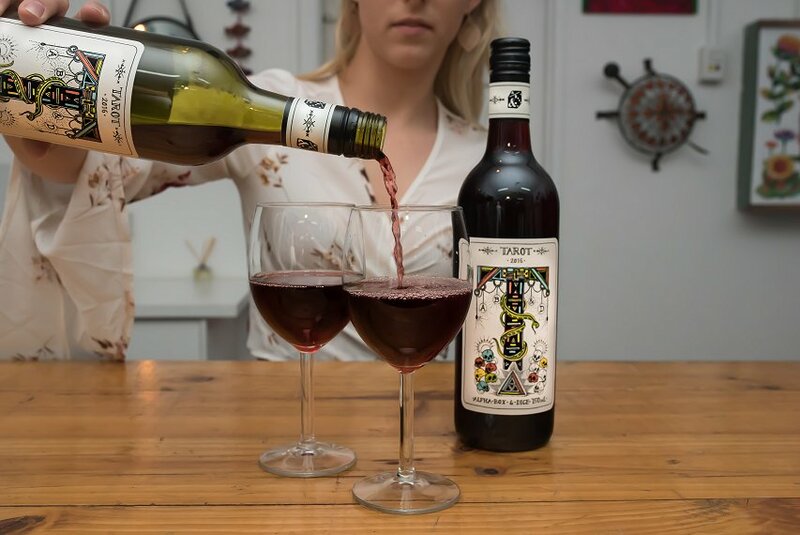 Jen Halman, owner of Studio Vino and originally from the states herself, saw many of her friends and family members taking part in this activity and knew it was something she had to introduce to Australia. “In America, it’s a super popular franchise, so most towns in the states now have at least two of these businesses […] but nobody was doing it in Adelaide. “It’s not meant to be an art class because there are so many good artists out there that you can go and get instruction from. […] This is just meant to be really fun and relaxing; doing a specific painting and having a few drinks”, Jen Halman said. Been going on for two years already, Studio Vino has now finally settled into a permanent location. “I thought that Adelaide needs something else to do, so I basically started out at pop-up locations at pubs and different spaces that I could find [… now] I’ve got this space with Renew; and here we are”, Jen Halman said. With the hopes of rotating through different local South Australian wines to showcase as much of SA’s best as possible, Jen also want’s to hold cocktail nights to suit the theme of the featured painting; such as serving Margaritas when painting the portrait of artist Frida Kahlo. No wonder the Paint and sip industry is one of the fastest growing lifestyle industries in America, as you can have a few drinks with friends, all while releasing your inner child. It is not an art class but you are sure to have some fun with a paintbrush. So why not come along to Studio Vino’s next paint night or even create your own social event, you are sure to have a blast. Open one hour prior to each event or by appointment, be sure to look online for Studio Vino’s next paint and sip session.